On the go consumers are the most valuable prospects available. But while local advertising on the PC has not been well understood by marketers, the importance of location-based content to smartphone users is all but self-evident. Recent behavioral data shows that 40% to 50% of mobile searches are local in nature, not including apps. Beyond the fact that this translates into billions of queries, local-mobile searchers convert at much higher rates than conventional PC users. Between 40% and 60% of local-mobile searchers actually show up at a local business or store location. The majority of these local information seekers take action within a very short period of time, usually a couple of hours -- or less. The nature of local-mobile marketing is therefore much more dynamic and immediate than on the PC. Marketers both large and small must clearly understand how to reach mobile audiences or be prepared to hand potential customers over to the competition. 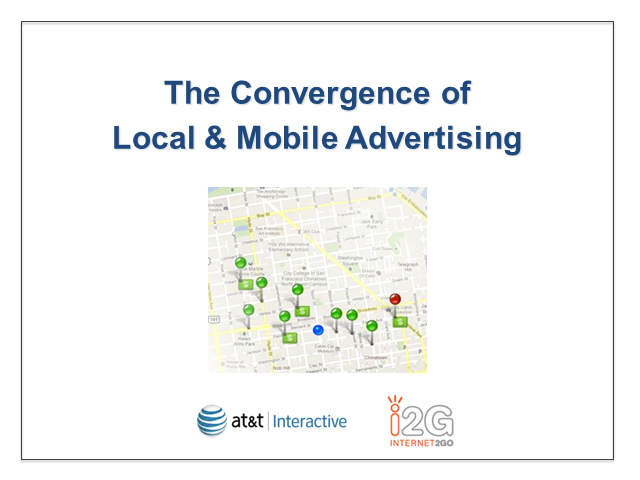 Join Opus Research's Senior Analyst Greg Sterling and AT&T Interactive'Âs Executive Director of Product Management Matthew Goldman for a mix of data, discussion and perspective about location and mobility today. Goldman will also present what AT&T is seeing from the field in terms of SMB advertiser demand and mobile consumer behavior.